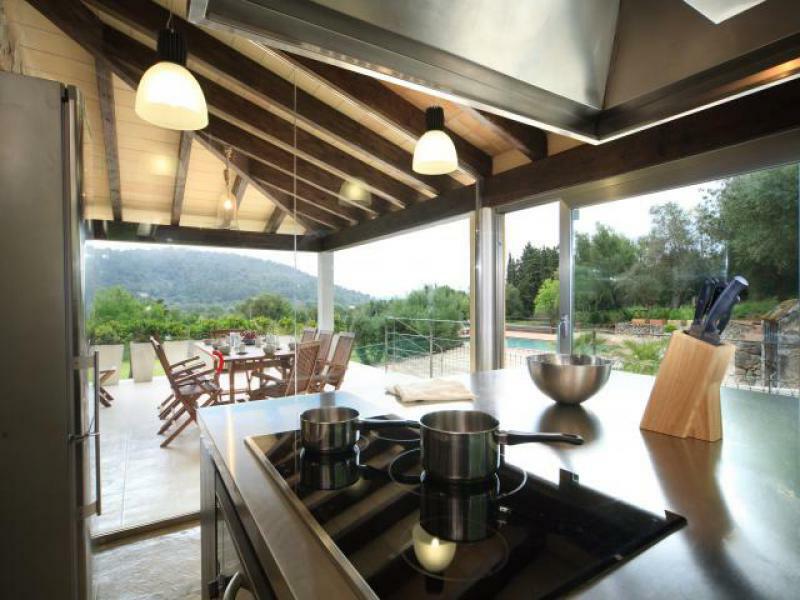 Azure Holidays are delighted to offer this wonderful 4 bed villa in Pollensa. 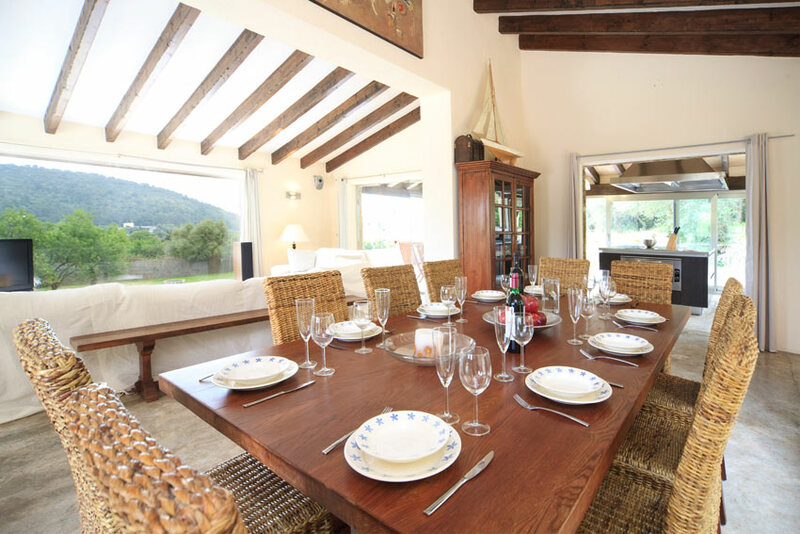 This villa is set in the quiet Majorcan countryside and offers wonderful views. 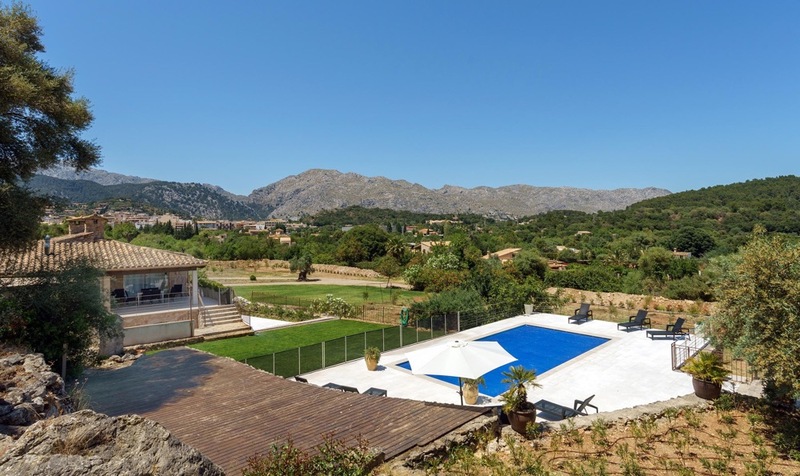 This Pollensa villa with a private pool is also within walking distance of Pollensa town. Ask Azure "This is an unusual villa full of charm and luxury. 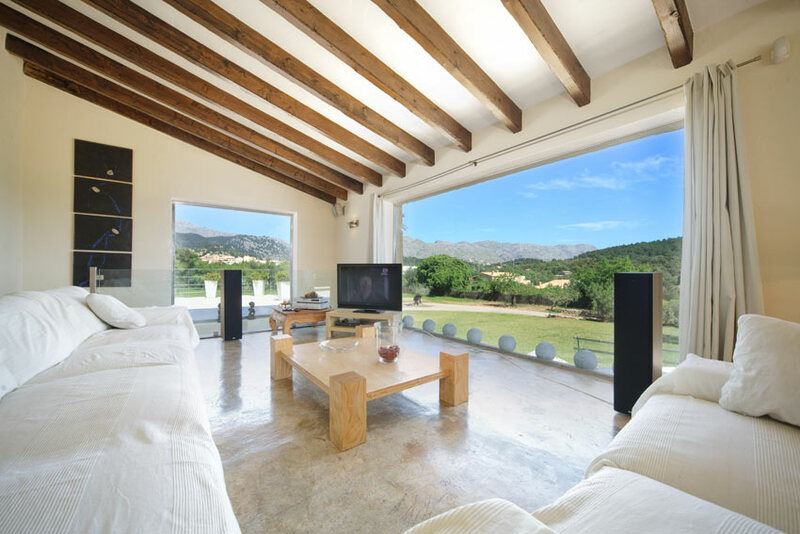 Very spacious and with stunning views our favourite area is the living room - the large windows take full advantage of the beautiful panorama surrounding this Majorca villa." 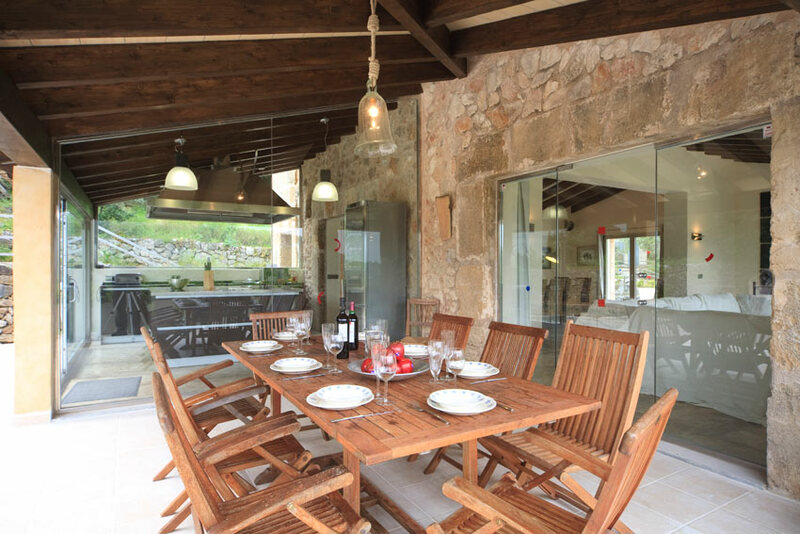 This villa has been carefully designed to take full advantage of its situation in the foothills of Puig de Maria. 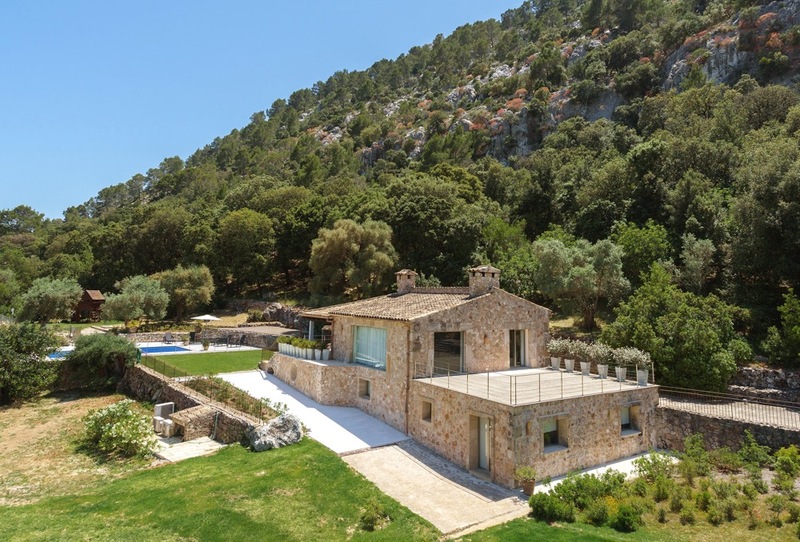 Built with a fusion of traditional Mallorcan stone and modern floor to ceiling glass windows this is a villa that offers you that something extra special for your holiday stay. 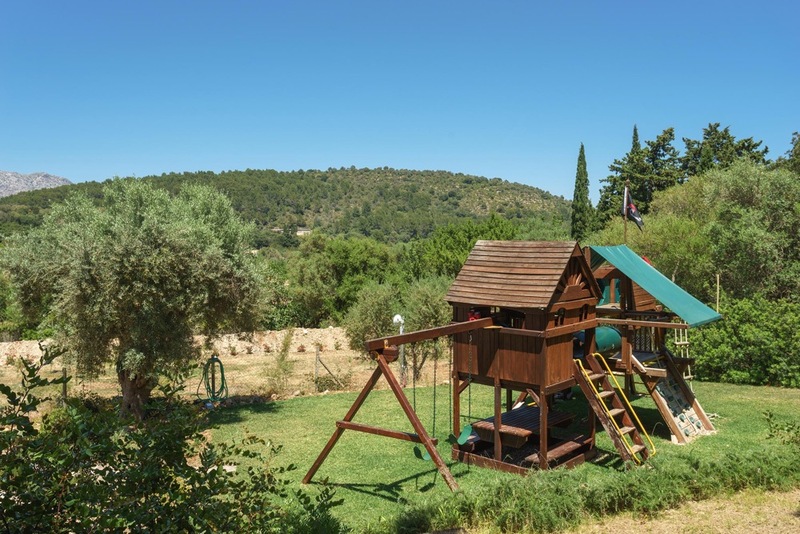 This villa is set in a very large plot and is the perfect combination of countryside location and walking distance of the stunning town of Pollenca. The grounds of this villa, and the villa itself, have both been sensitively designed to keep the natural characteristics of this beautiful area of outstanding natural beauty. 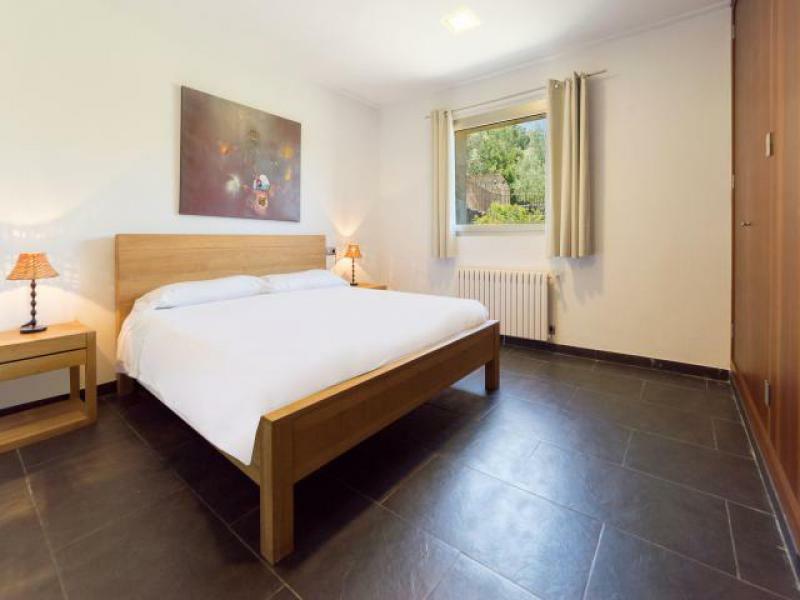 This Pollenca villa is right at the base of the mountainous area of Puig de Maria (translated as Mary's Mountain), so close that when you are soaking up the sunshine by the impressive pool and terrace area, you may find that you are also in the company of soaring eagles and inquisitive mountain goats. 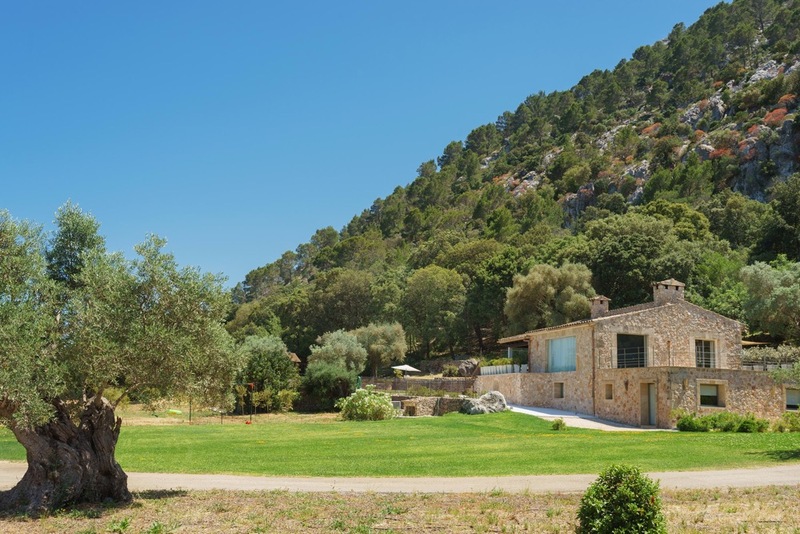 The grounds of this property are full of rustic charm with views over towards the town of Pollensa and the Majorca countryside. The pool is a good sized natural looking pool which is appealing and relaxing. There are plenty of outside areas on different levels ideal for exploring and alfresco dining with a barbeque area to enjoy. And of course the outside space is ideal for children to explore and play in. 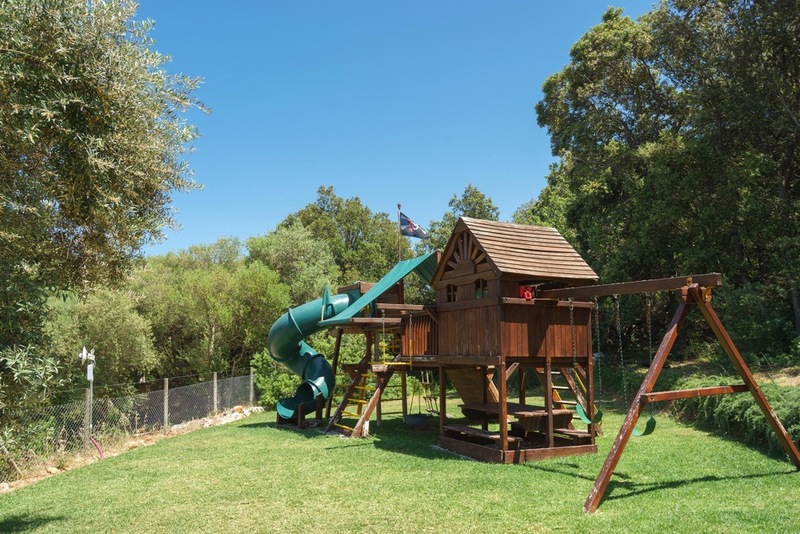 In our efforts to improve our facilities for 2014 we have installed a children's play-park making the villa one of the best children's facilities in Mallorca. Also as part of our new improvements to the villa we also now offer a large terrace near to the pool which can be seen from the house and allows greater safety as children can be easily supervised while they are playing. 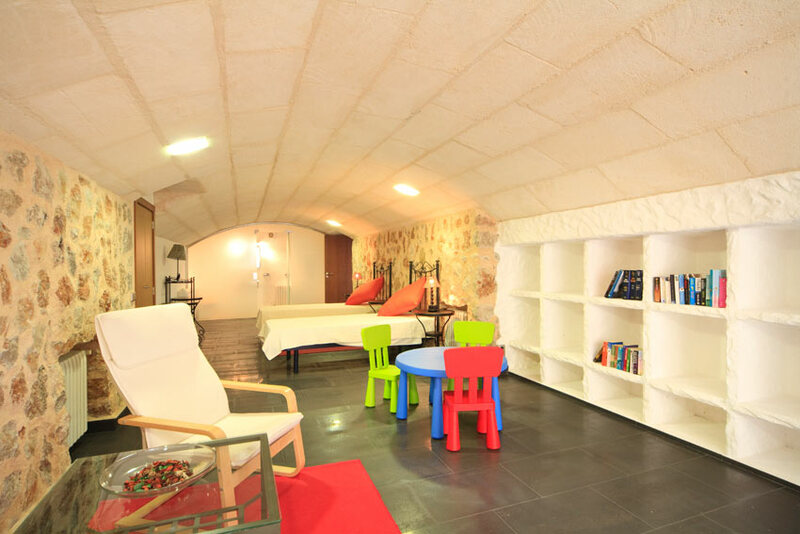 This distinctive villa is set over two floors making the most of the unusual levels that this villa is built on. The upper part of the villa is home to the living spaces, and the lower floor contains the bedrooms. Despite being underground the rooms are large and spacious and bright and open with windows and doors leading out into the garden area. This villa is spacious and modern with clean white walls and a mixture of black tiles, marbled floors and plush carpets throughout. On the first floor you'll find the spacious living/dining room which is a lovely open plan space with wooden beamed ceilings giving a feeling of the outside coming in. This is helped by the wide open glass walls which give an elegance and drama to the room. 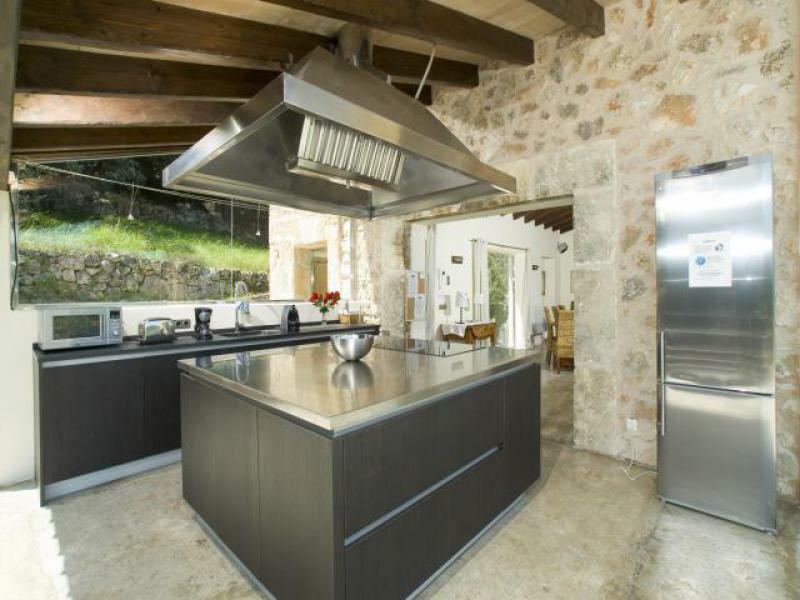 The kitchen is a space full of modern equipment that is surely a place that will inspire glorious culinary creations. 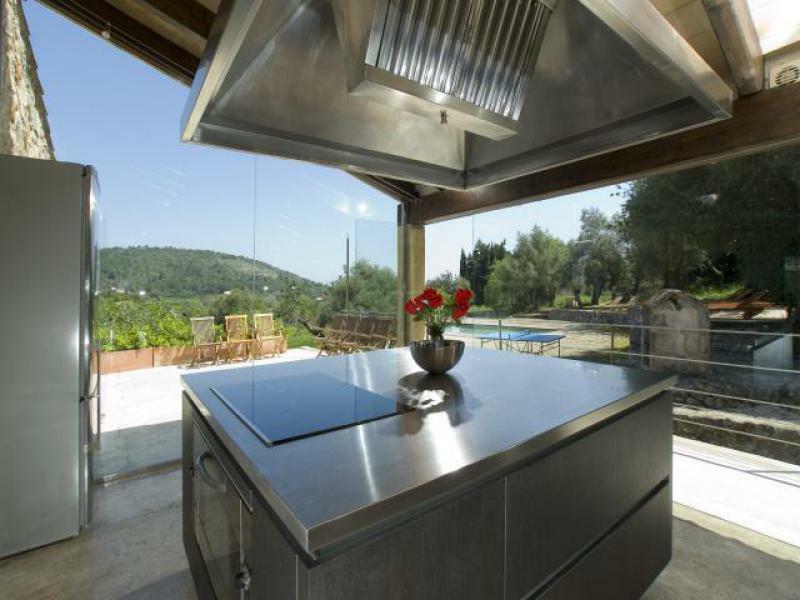 The theme of nature continues in the kitchen courtesy of the glass walls and sloping wooden ceilings. The outside dining area and terrace is accessed from the kitchen. Down the wooden staircase to the ground floor you will find four double bedrooms all with en suite bathrooms, two have queen sized beds and two have twin beds. 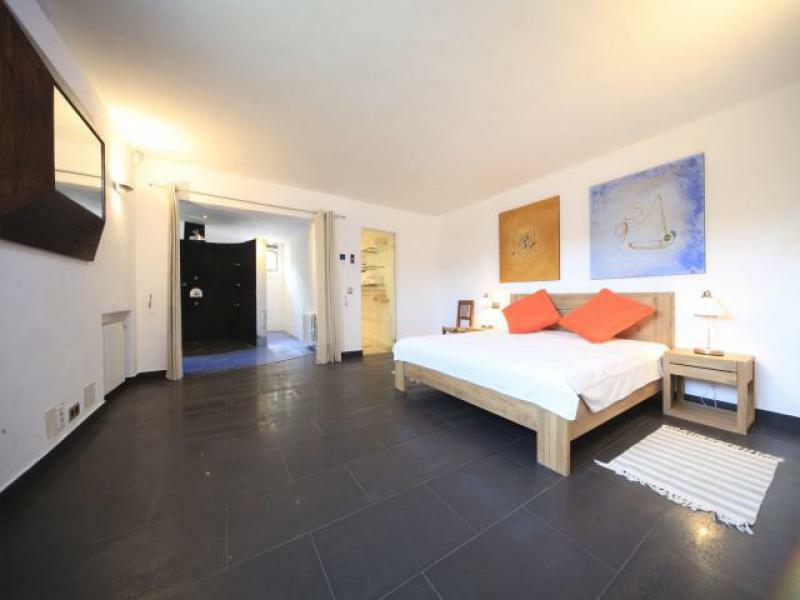 The bedrooms are stunning in their simplicity and modern design. 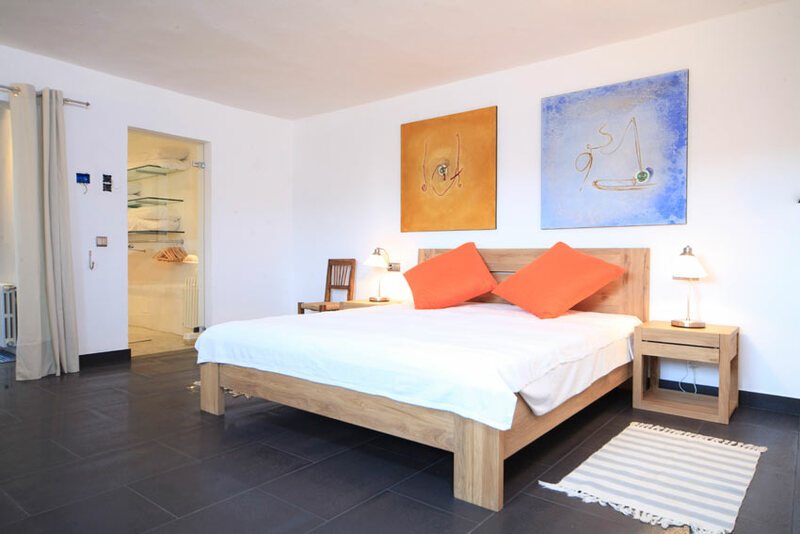 Some with unusual recessed wardrobe areas and curtained bathroom spaces and others with exposed Mallorcan stone walls and curved ceilings the bedrooms ooze style and sophistication. You'll be sure of a great night's sleep in these rooms. 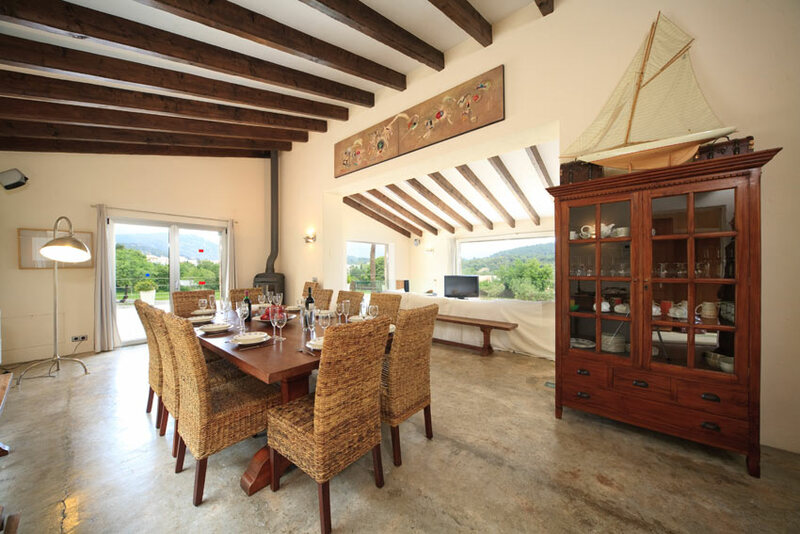 One of the best things about this villa is the fact that it is so close to the town of Pollenca - within walking distance of the town in fact. 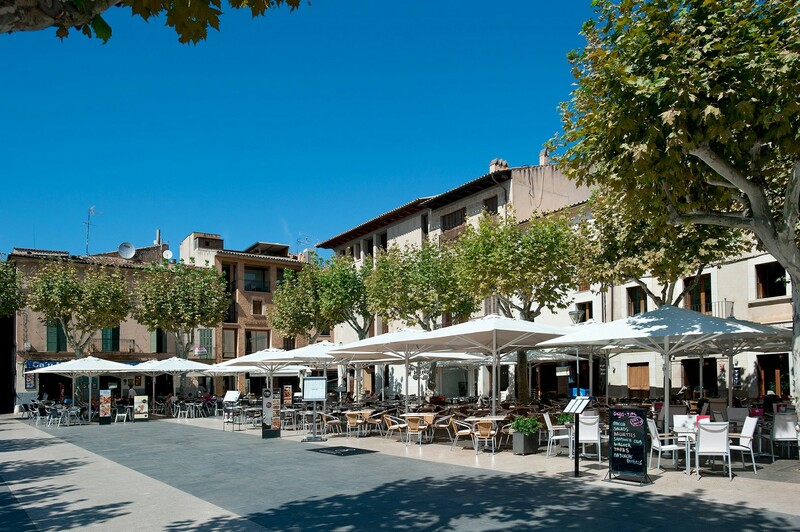 You will be able to take a stroll into town to enjoy the local bars and restaurants and soak up the atmosphere of shopping in the local markets and districts. 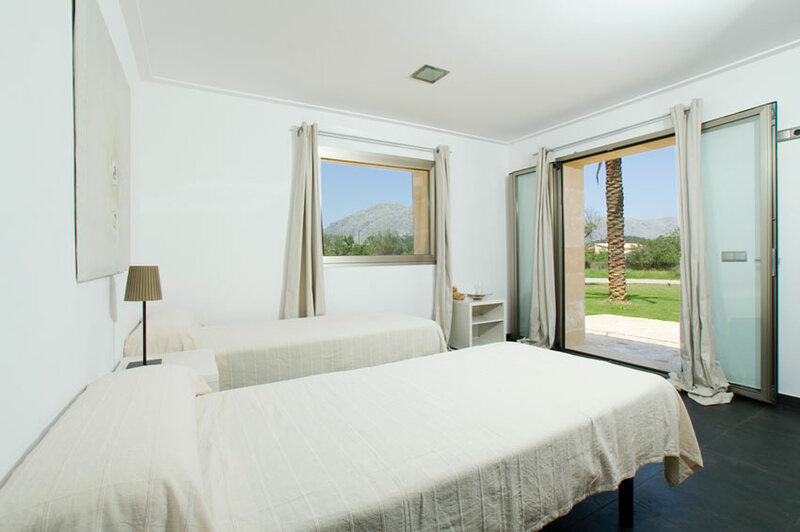 Add to all of this the fact that you are only a very short drive to the local beaches and other Majorcan areas such as Puerto Pollenca and Alcudia where you can enjoy all the fun of water sports, sea and sand and you really do have the perfect property in the perfect location. A house that is as luxurious as it is original gets booked very quickly, beat the rush for your next holiday and book with us today. 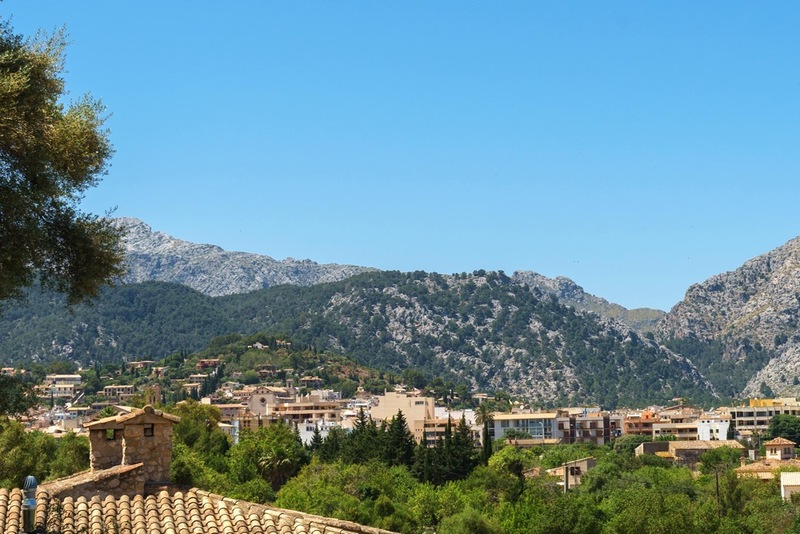 Take a look at our guide to Pollensa for more information about the area here.